New Delhi-24/11/2009: The headquarters of the United Nations, based in New York City, will soon undergo a $2 billion extreme makeover. Plans for the massive overhaul of the UN campus involve removal of asbestos, a material once commonly used in a variety of building materials including fireproofing, tiles, and insulation. The work on the building will force some diplomats to relocate. Secretary-General Ban Ki-moon will move to a temporary structure. The UN's $2 billion renovation project is slated for completion in 2014. In order to show a leadership initiative for countries around the globe, the UN is making its buildings asbestos free. 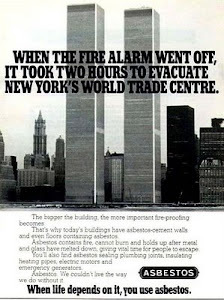 Asbestos was used in 19th and 20th-century design of the buildings, its high time developning countries like India too stepped in the era of 21st century asbestos free design. Exposure to asbestos is now known to be a contributing factor to the development of mesothelioma a rare form of cancer that affects thousands worldwide each year. 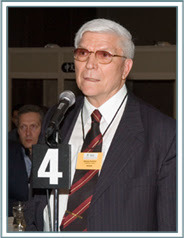 Mesothelioma symptoms may not become apparent until many decades after a person has been exposed to asbestos. Many mesothelioma patients lose their battle with mesothelioma only months after being diagnosed, with the majority of patients succumbing within 24 months of being diagnosed. 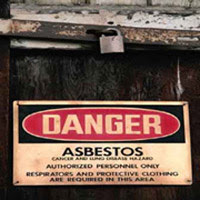 Exposure to asbestos can also lead to lung cancer, pleural plaques, and asbestosis. Earlier, President of the U.N. staff union, Stephen Kisambira had called a rare news conference to express concerns on behalf of U.N. workers that the asbestos abatement will not be carried out safely and effectively. The matter is complicated even further because the UN, which is technically not United States territory despite its location in New York, has special legal status. This status would prevent workers or residents from bringing lawsuits against the contractors working on the abatement. If anyone contracts a asbestos realted disease which they believe is directly related to the renovation, they will be allowed to pursue arbitration but not litigation. 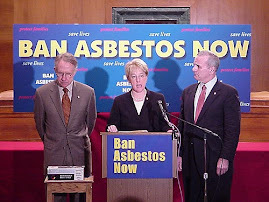 Ban Asbestos Network of India (BANI) is deeply concerned about the health and safety of Indian government officials, judges,the parliamentarians and media persons who work and live in asbestos laden buildings. It is about time steps are taken to make their work and and residential places as safe as UN headquarters. 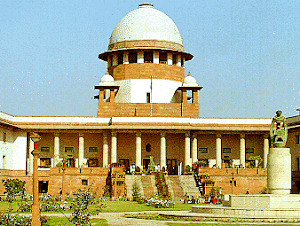 BANI has witnessed asbestos structures in the premises of the Indian Supreme Court as well.